Michals was a pioneer in the 1960s when he broke away from established traditions of documentary and fine art photography. Rather than respecting the primacy of the photographic print, Michals added handwritten messages and poems to the paper surface. Instead of accepting the widely recognized dominance of a powerful single image, so respected by masters like Ansel Adams or Henri Cartier-Bresson, Michals created sequences of multiple images to convey visual stories. He has always considered himself to be a storyteller. Storyteller: The Photographs of Duane Michals is a definitive retrospective of Duane Michals career up until now. 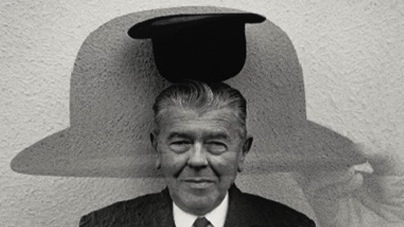 Shown nearby, Duane Michals: Collector offers a unique look at the world of art through the eyes of Duane Michals the collector. Since 2001, he has given nearly 50 works from his collection to Carnegie Museum of Art, which is also the single largest repository of his photographs; the works in Duane Michals: Collector are all promised gifts to the museum.